I’ve got a single ATC I made to share with you today. 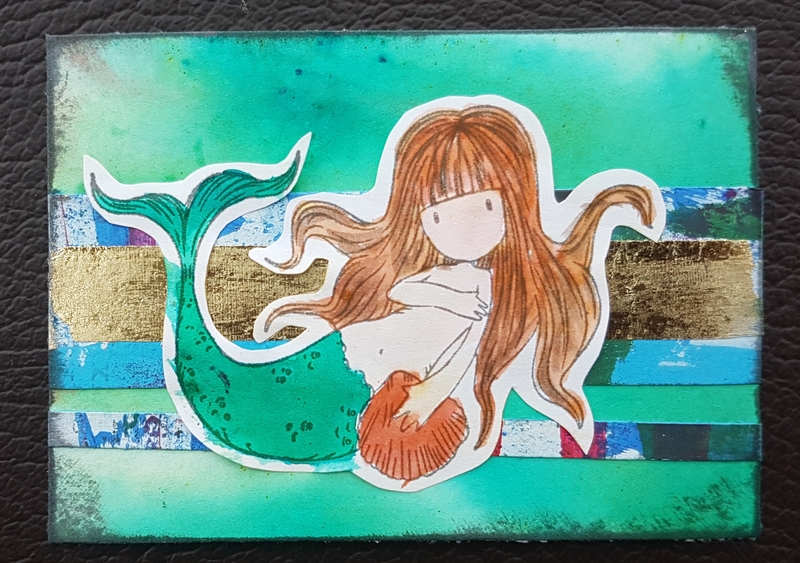 It features one of the lovely Gorjuss Girl stamps… this time a mermaid design. The background was a brushos mop up piece from another project. I then added two cut off pieces of acrylic painted card and a strip of foiling using tape. I painted the girl using brushos to paint with. I love how this came out although my painting could have been neater.